B-Side - Have You Thought About Killing Yourself? Written by Dr. Helmy Haja Mydin, Consultant Respiratory Specialist. "Have you thought about killing yourself?" It’s not the easiest question to ask someone - especially to a stranger. Early in medical school, we were taught to confront the possibility of suicidal ideation with direct questions and an importance to not make assumptions. At best, it can save a life, and at the very least, the person will know that there’s an avenue to discuss matters. Clinical depression hides under a still surface. It does not necessarily follow a logical pattern or be as a result of a life-changing event, and can be triggered without any motivation. LISTEN: Health and Living: Have You Thought About Killing Yourself? When Robin Williams took his own life in 2014, many around the world took to social media to express their anguish, highlighting the importance of mental health. 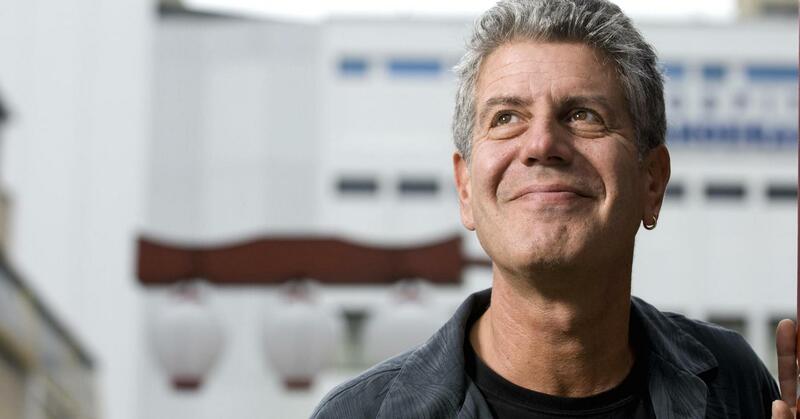 And almost four years later, with the tragic suicide of Kate Spade and Anthony Bourdain last week, once again, the issue of mental health is being raised. But in terms of care provision for those with mental health disease - what has changed in between the death of Mr Williams and Mr Bourdain? LISTEN: Psychiatric Series: Suicide Prevention: Where's the Progress? Dr Chua Sook Ning, the founder of RELATE, a Malaysian NGO dedicated to improving mental health, finds that more than one in four Malaysians suffer from mental illnesses. She further adds that there is only one psychologist and psychiatrist per 100,000 Malaysians. This lack of professional support stems from an age-old stigma against mental health, and is further compounded by the mass of misinformation regarding the issue. Many prefer to bury their heads in the sand or seek complementary/spiritual intervention, as insurance companies generally don’t cover the costs of mental health disease. What’s more, with an overwhelmed public service sector troubled by insurance companies and building capacity issues, many will only have access to proper treatment if they have the means to pay out of pocket. And in the context of a stagnant economy, this usually means that many will ignore the problem until it’s too late. It is, however, reassuring that the Pakatan Harapan manifesto had outlined plans to tackle mental health disease. The attempt to resolve the issue will take some time, but it is essential that certain key efforts are put into place. While issues of building capacity is easy to highlight, in the long term, the government should consider partnering with stakeholders to increase access to healthcare. This will also promote healthcare literacy and addressing the myths surrounding mental health disease. Furthermore, an anti-discriminatory law against mental illness needs to be implemented, as disclosure of such a diagnosis can lead to job losses, thus adding to the culture of secrecy and shame. Forging partnerships with stakeholders can take many forms - from engaging Universities, to suggesting policy ideas that addresses the link between poverty and mental illness. It can also involve religious authorities such as MAIWP (Majlis Agama Islam Wilayah Persekutuan) who can help differentiate disease from belief. Ultimately, the approach needs to be holistic and evidence-based. On the other end of the spectrum, NGOs and individuals should not just voice out their concerns, but also work together to achieve effective changes that makes a difference to those who suffer silently with mental health disease. If these steps aren’t taken, the current furore will ease into a whimper until the next famous person commits suicide. * The Befrienders can be reached at 603-79568145, or sam@befrienders.com.my, while the Malaysian Mental Health Association (MMHA) is at 603-7782-5499. Health and Living, Suicide, Mental Health, Dr. Helmy Maja Mydin, Depression, Ministry of Health.